Keratoconus can turn a straightforward perspective on the world into a funhouse mirror view -- one that isn't much fun, either. This deformation of the cornea, which often causes severe astigmatism and other vision problems, can be difficult to treat, especially if you have your heart set on wearing contact lenses. The good news is that your experienced optometry team here at Eye Site can perform the necessary evaluations, recommendations and fittings to provide you with effective, comfortable Houston contact lenses for keratoconus. No one is completely sure why some people are vulnerable to keratoconus, although genetics, oxidative damage, eye rubbing, eye injuries and underlying systemic diseases have been linked to its development. It occurs when corneal tissues that are unusually thin or weak begin to bulge outward in a cone-like shape rather than maintaining a consistent spherical configuration. The bulging affects the way incoming light is refracted, causing the visual blurring and distortion associated with astigmatism. Occasionally a small crack may develop in the cornea; this may cause swelling and sudden, temporary worsening of your vision. While the most advanced cases of keratoconus may require treatment methods such as supportive implants (Intacs) or corneal transplantation, less severe keratoconus can respond quite well to corrective lenses, including soft contacts. But as your corneal contours become more exaggerated, you may not be able to get the vision correction you need without our specialized Houston contact lenses for keratoconus. Scleral - A scleral contact lens doesn't rest on the cornea at all; instead, it "vaults" right over it and rests on the sclera (the white of the eye) instead, providing uniform correction over the entire corneal area. 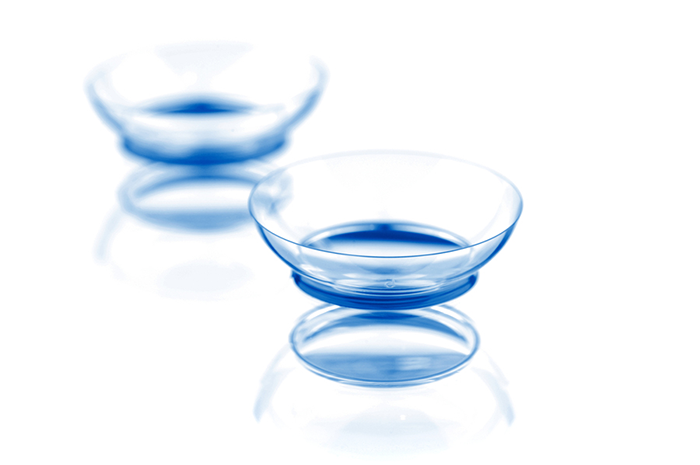 Semi-scleral - Semi-scleral contact lenses operate on the same principle as scleral contact lenses. Their slightly smaller diameter can make them easier to insert and get accustomed to. Hybrid - If you find ordinary RGP lenses uncomfortable but they need the extra accuracy, we can fit you for hybrid contact lenses. These lenses are rigid throughout most of their diameter, but the part that contacts the eye is soft. Piggy-back - Piggy-back lenses are another option for combining the comfort of soft contacts with the keratoconus correction of RGP lenses. You simply insert a pair of soft contacts and then add the RGP lenses on top of them. Need Houston Contact Lenses for Keratoconus? If you need Houston contact lenses for keratoconus, come to Eye Site. We offer leading brands such as Acuvue, Bausch+Lomb, Multifocal Duette, CIBA Vision, ProClear and Cooper Vision. Call either of our offices to get the specialized contacts you need!